Monday – Friday from 7am to 11:00am. 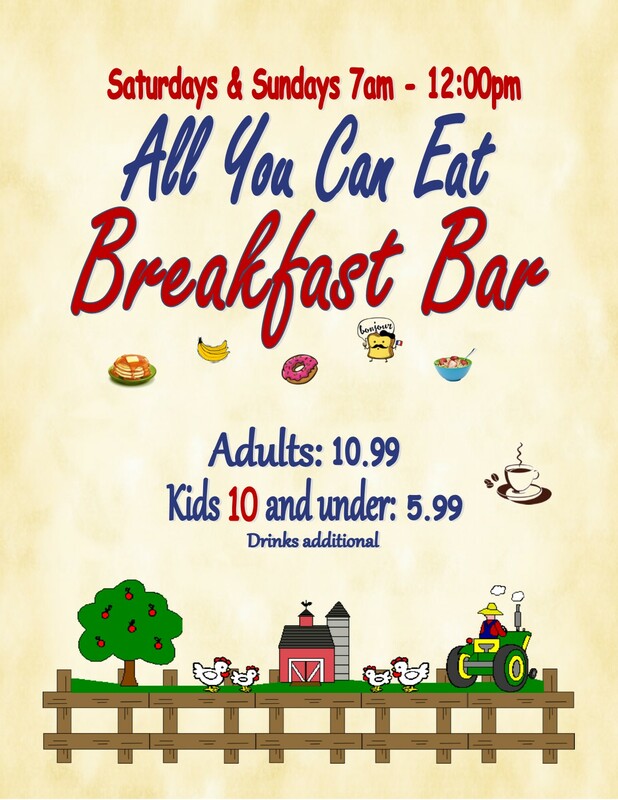 Join us every Saturday & Sunday for our All You Can Eat Breakfast Bar! The Mayberry Café is a friendly family restaurant in Danville, Indiana. 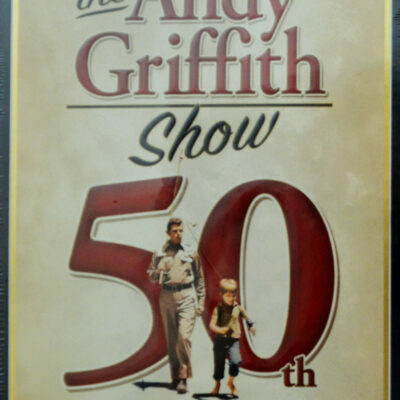 Since 1989, owners Brad and Christine Born have welcomed diners to take a step back in time for home-cooked food just like Aunt Bee put on the table for Andy and Opie Taylor on the Andy Griffith Show. Great meals in a comfortable atmosphere will have you watching for Barney and Gomer to walk through the door. 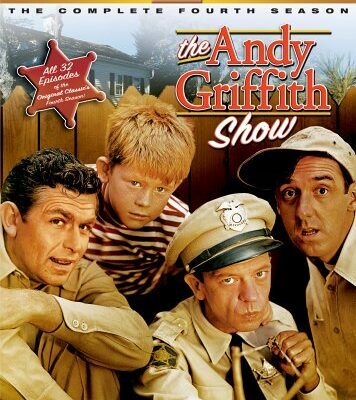 Come join the fun at the Mayberry Café! Tour buses and large groups are always welcome! Check out the newest commercial for the Mayberry Cafe in Danville, Indiana featuring Barney Fife impersonator David Browning! 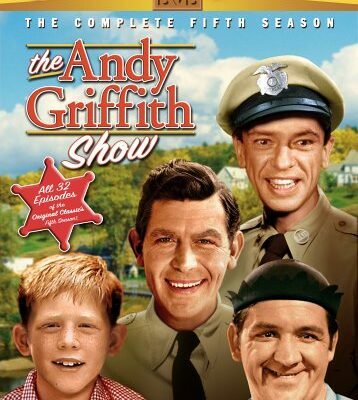 See how our friend uses The Mayberry Cafe in one of his popular music videos! The historic building housing The Mayberry Café seats up to 150 guests on two floors. An elevator makes the second floor completely accessible. Take a stroll through the Café and you will quickly understand why the locals keep coming back and the out-of-towners make the drive to downtown Danville and the Mayberry Café. It’s a destination! Great food is an important part of making every celebration memorable, which is why we customize menus to perfectly fit occasions of all sorts for 20 to 500 people. Make your next gathering extra special. Let The Mayberry Café bring delicious home-cooked meals to your table that will help set the stage for precious and delectable memories for you and your guests. A full carry out menu from the Mayberry Café means you can serve a complete meal even when there isn’t time to cook. Quick service means you will be in and out fast. Skip the drive-thru. Call ahead and have hearty meals ready when you arrive. 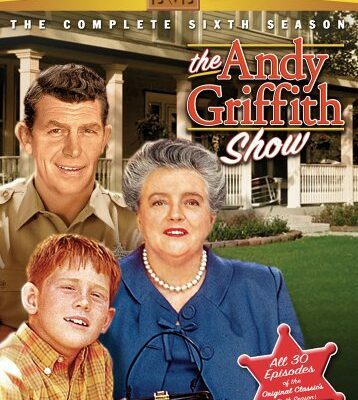 Go ahead, be just like Aunt Bee! You’ll hear your family say “Woo-ey!” just like Andy. Take a drive to downtown Danville, Indiana where you will feel you have stepped back in time. 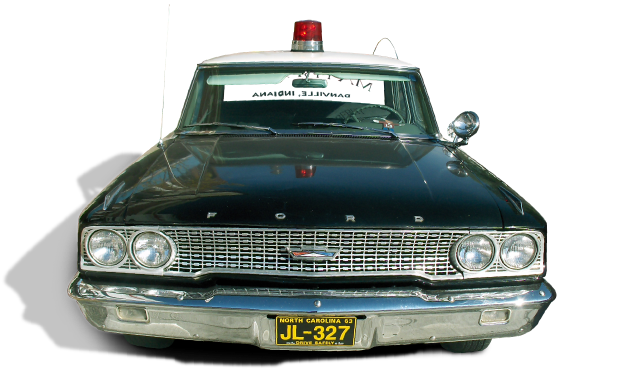 Sherriff Taylor’s squad car is usually parked right out in front of the Mayberry Café, so you can’t miss us. Parking is available behind the restaurant or you can slip into a spot around the courthouse on the Downtown Danville Square and take a short stroll across the street. Check out recent items from our new online store or click here to browse the entire selection!